Don't miss a birthday ever again with our custom printed Wall Calendar. 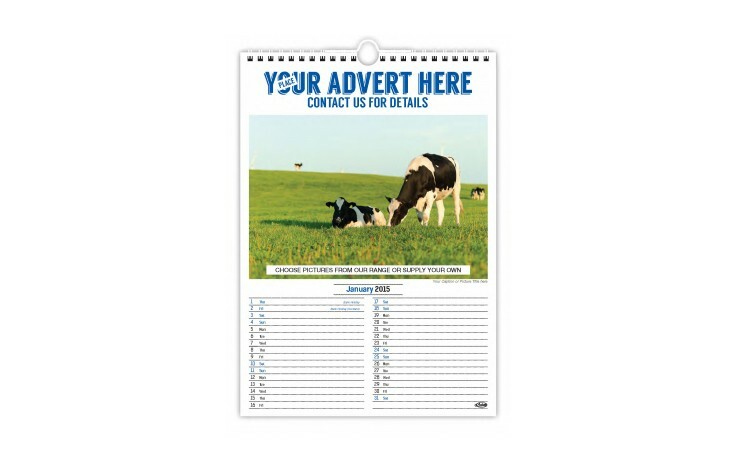 Supplied with 12 pages this item is printed with your designs in full colour as standard, meaning there are no limitations to the number of print colours that can be achieved. Choose your very own images for each month, or select ones from our templates. There's also a space for your logo above the image too! Standard prices based on A4 size, A3 size also available POA. 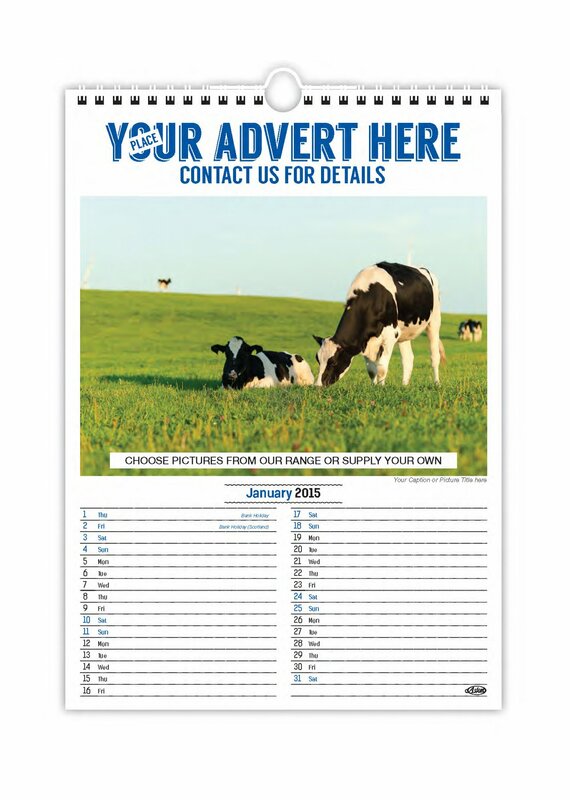 Print a different image to each month!